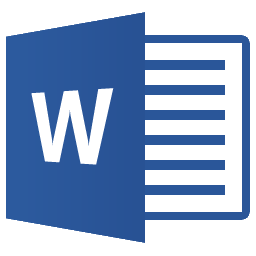 Most PC users uses Microsoft Word as their primary word processor. It's been around for years and is easy to use. One criticism of Word has always been that there are so many features that it can easy to miss very useful ones because they get lost in the sea of menu options. And so it is with the Show/Hide Format Marks function. It's one of the best features of MS Word. When you toggle on the Show Hidden Marks, you can see the specific format marks within a document, such as paragraphs, periods, and tabs. This is especially useful to understand how a document has been created. Are those spaces or a tab? When they are displayed, these character marks also can be copied and pasted within the document much as a normal character. For example, a paragraph mark that is at the end of a paragraph with formatting such as center and with different margins and tab settings can be copied and pasted at the end of another paragraph to format the second paragraph the same way. To toggle the Show/Hide function on or off, use the Control+Shift+8 keyboard command. In addition, the menu bar also has a ¶ option that can be toggled to Show or Hide formatting marks. In the example below, the Show formatting has been toggled on. For demonstration purposes, the formatting marks have been highlighted to show them.